LIMITED TICKETS: Only 80 Tickets Available. BOARDING TIME: Boarding starts at 6:00 pm. Look for the ALECPTA Signs. We will have our own cars this year! COST: $45.00 per person age 2 and up (ALECPTA subsidized $9/ticket). The cost of one ticket is included in your initial registration. Add guest registrations for additional tickets. Parlour Car - December 12th: 42 tickets are available in the deluxe class, Parlour Car. Tickets are $65 per person age 2 and up. In this car, you will sit in seats with tables. 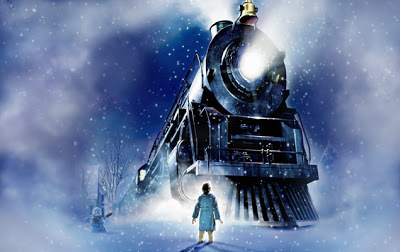 Each passenger will receive a commemorative Polar Express Mug. (ALECPTA subsidized $9/ticket). The above is an example of the parlor car. It will obviously have much more seating, but you will be at a table and chairs.